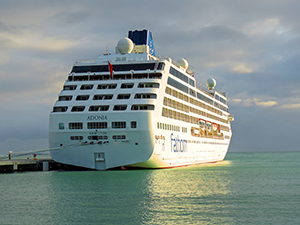 Update: Fathom Cruises, part of the Carnival organization (AIDA Cruises, Carnival Cruise Line, Costa Cruises, Fathom, P&O Cruises, P&O Cruises Australia, Cunard, Princess Cruises, Holland America Line,and Seabourn) now operates its cruises on other lines within the organization. If you’re an American traveler, you’ve likely heard of Fathom Cruises, the new Carnival cruise brand that will be the first in 50 years to sail from the U.S. to Cuba. The cruises will be aboard the 704-passenger Adonia, which will sail to Havana from Miami every other week. On alternate weeks, the ship will sail to the Dominican Republic. This past week I sailed on Fathom’s inaugural cruise to the Dominican Republic, which I can truthfully say was an enjoyable, as well as an eye-opening, experience. 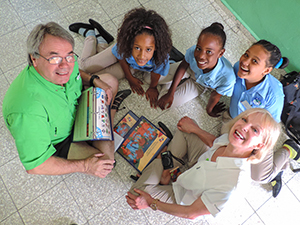 It wasn’t the destination that lured me aboard the Adonia but the purpose of the cruise, which Fathom labels “Impact Travel.” In other words, it’s travel with a purpose, doing something that helps transform the lives of others. 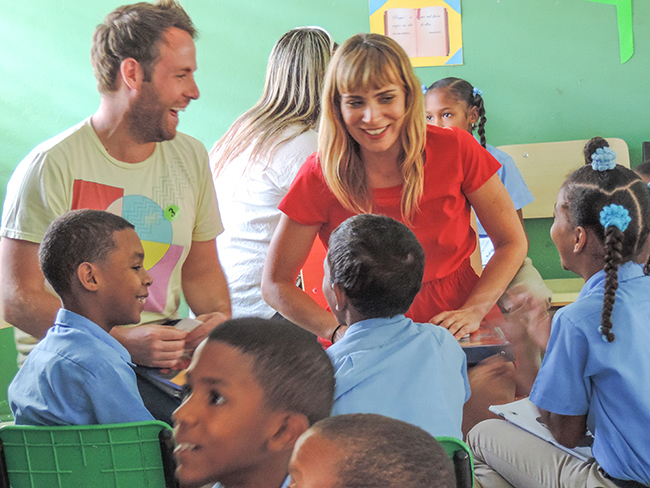 Fathom promised the cruise would provide life-enriching travel experiences as we tackled community needs while working alongside locals in the Dominican Republic. It delivered on its promise. You shouldn’t confuse “impact travel” with “voluntourism,” a term that has gained popularity in recent years. Voluntourism is a working holiday during which travelers participate in voluntary work for worthy causes. Fathom cruise is different. While the voluntary work you undertake ashore encompasses carefully selected projects vetted to provide real economic, health, environmental, and cultural impact in the country, it also delves deeper into the local culture and your psyche. It’s an entirely new category of travel. These small-group seminars are optional, each an hour or so long, and they prepare you for the experience both on and off the ship. They are popular, interesting, and fun. They touch on social innovation (developing balance in your life, raising the next generation change-makers, etc. ), storytelling (unveiling and capturing personal stories of yourself that are clear and meaningful), discovery (why curiosity is important, how do create more time for yourself, etc. ), and much more. In one of the seminars, Travelers of Fathom, we stood together in a group and were asked to respond mentally to a series of questions. If your answer was yes, you silently stepped across a line marked on the floor. After a few innocuous questions, the questions began to become more personal, such as “have you ever been unemployed?” and “have you ever been bullied?” It was a fascinating exercise in which we all saw that many others have also had the same experiences in life as ourselves. We were then paired with another person and asked to tell the other our answer to the question given to each pair. After 10 minutes, we each wrote on an index card a short synopsis of what we heard. It was a fascinating experience for both the storyteller and listener, which according to the staff helps people master the essential skills of empathy, teamwork, leadership and change-making. 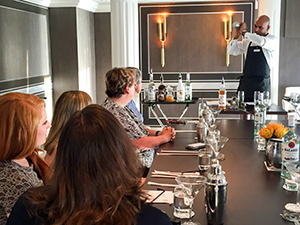 All of the numerous and varied sessions, perhaps better described as fascinating mini-workshops, continue every day while you are at sea. You pick and choose whichever you’d like to attend. There’s plenty of other things to do on the upscale Adonia. 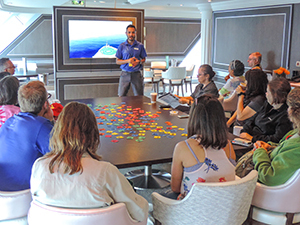 There were talks on Chinese medicine and acupuncture given by the onboard licensed acupuncturist, as well as yoga and meditation sessions and seminars on elementary Spanish, cocktail making, and learning to dance the Merengue and Salsa. A simple course in photography, to help you to work more efficiently with your phone or camera, was offered and in the evenings, the Wine and Art classes were always full. 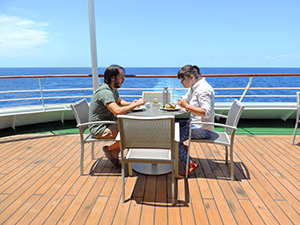 The food was good and plentiful, as to be expected, and the ship’s Executive Chef (who had an uncanny resemblance to George Clooney) prepared delicious modern Dominican-inspired menus. Interestingly, lobster is still served aboard the Adonia at a time when many other cruise lines have eliminated it from their menus or charge additionally for it. All of the on-shore impact activities are 4-5 hours in duration, taking place in both the morning and afternoon. Participants can join as many as they like during the 3½ days Adonia is in port. Participants in the activities ranged in age from 8 years to near 80, with something to do for everyone. 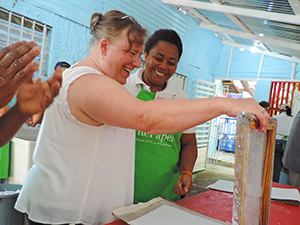 Two of the programs work with small groups of enterprising Dominican women: one group develop arts and crafts from locally recycled paper, the other cooperative makes and markets chocolate from organic cacao plants they cultivate. Two additional programs focus on the growing demand for English-speaking employees in the DR’s tourism industry. One focuses on teaching English to adults at home or in community centers, the other on students in the classroom. A tips and tricks tutoring workshop was held aboard ship, and you only needed to follow instructions provided in the classroom. Most participants found both experiences exceptionally satisfying; after all, who isn’t thrilled by hugs from ecstatic 4th-graders? Fathom also designed group projects to impact health. One group helped make water filters that are necessary to safeguard the health of people in the region. Another group installed concrete floors in homes where presently people live only with dirt ones, a significant health risk. 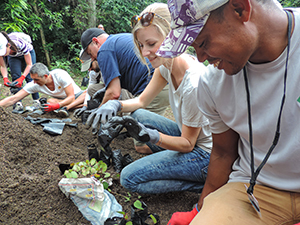 Other people joined a reforestation project, which is designed to help safeguard and regenerate areas of the rain forest. Note that some of the spots fill up quickly, so it’s best to book your activities as early as possible. 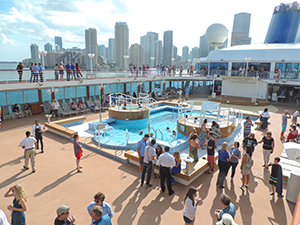 If you enjoy cruising and want to make a social impact on the world without depriving yourself of a comfortable bed, good food and drink, and a great variety of activities, this cruise may be of interest to you. Would I recommend a Fathom Impact-Travel trip to others? Unequivocally yes. In fact, I already have. And what about this “Impact Travel,” did it actually have much of an impact, after all? The numbers speak for themselves. According to Fathom, during our three days ashore our group helped nearly 650 students and community members further their English-language capabilities. 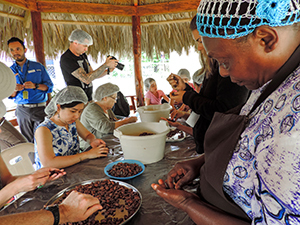 They also planted more than 2,400 trees, produced 50 water filters, and cleaned more than 200 pounds of cacao nibs and wrapped more than 6,000 chocolate bars. And there are now 20 people in two houses who no longer are living in homes with dirt floors. And this will continue to happen every other week in the coming years. Do the math and decide for yourself. Better yet, go have an impact. Superb work. keep it up. Nice informative article. Travel is the only thing you buy that makes you richer.